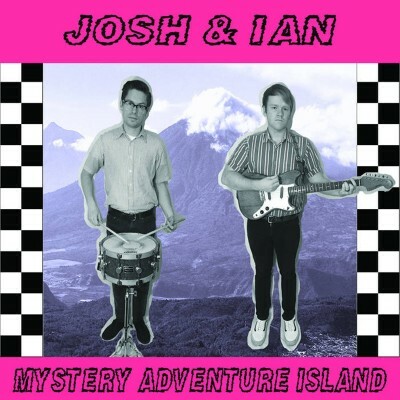 After I drop the proverbial needle on Josh & Ian’s Mystery Adventure Island, it is clear that they waste little time in infecting the unwary listener with notions of fun, jumpy rock n’ roll. Mystery Adventure Island is a cool mix of fuzzy, punk-influenced garage rock that nestles in some post-punk elements. It’s consistently upbeat and displays a surprisingly endless abundance of energy from start to finish. Top numbers include “Kemosabe” and “Fountain of Phonies.” One can almost taste the angst-filled, punky attitude. Josh & Ian’s style also comes across as sunny with an almost California–rock n’ roll–like atmosphere. The sound is well-refined, and its raw and dangerous quality is almost toxically addictive. While it may be a stretch, I would have to say that this is truly Salt Lake City rock n’ roll at its finest. Mystery Adventure Island is many things. It’s something one can jump about and go off pogoing to, something that inspires only the best and most volatile spasms. If that doesn’t quite sell you, consider this: Mystery Adventure Island is on par with other national, garage punk contemporaries—say, Virginia punkers The Ar-Kaics. There are a lot of garage-punk groups out there that replay the same stuff over and over and offer nothing new. While Mystery Adventure Island borders on being a tad repetitive and no doubt plays on familiar strings, Josh & Ian have something that strays toward the refreshing and intriguing. That said, the same, basic, fast, fuzzy rock n’ roll is quite present on this album. The difference is just that these guys are giving the garage sound a good kick—which, to be fair, it really needs.